This weekend was the Virada Paulista, a non-stop 24 hours of cultural programs that brings millions of people onto the streets of Brazil’s biggest city to enjoy everything from music, to dance, to cinema, to gastronomy. It’s a great idea run by idiots who once more illustrated exactly how little they know about either organising a big event or what their own citizens want. The novelty this year was the street food stands run by some of the city’s best (or best-known) chefs. It was a great idea, poorly executed. The stands were simply unprepared for the crowds that turned out. Several of the restaurants I went to had run out of food, some as early as 2pm, a full SIX HOURS before the scheduled closing time. The drinks stands I went to had no drinks and those that did wouldn’t sell what they had because they were waiting for ice to chill them. Some queues were 300 meters long and diners got so frustrated that they invaded one stall (see details in this Folha piece). At one point, on the stall ran by Luiz Emanuel, chef at Allez Allez, there were five people standing around doing nothing and one person serving food. The person doing the serving was 16 years old. The most annoying thing was that if the chefs and organiser had paid the slightest bit of attention they could have anticipated the huge crowds. Just three weeks ago, thousands of people turned out for a similar event at a Sao Paulo art gallery and the interest was such that traffic jams snarled up the surrounding area well into the wee hours of the morning. Paulistas want good food at affordable prices. But restaurants here charge such ridiculously high prices that most people can’t afford to go to them. So for many people, this was a once-in-a-lifetime opportunity to taste rice and chicken cooked by Alex Atala, last week voted the fourth best chef in the world. They missed out on that chance due to sloppy organisation and bad planning. The chefs and organisers blew it. They should be embarrassed. Following on from last month’s blog about Brazilians getting fatter, the country’s statistics institute has just released a report that contains some of the reasons why. There’s no major surprises in the IBGE study (which can be found here in Portuguese). Simply put, Brazilians are eating less fresh fruit and vegetables and replacing their staples of rice and beans with beer, soft drinks and ready made meals. It’s a trend seen all over the world. 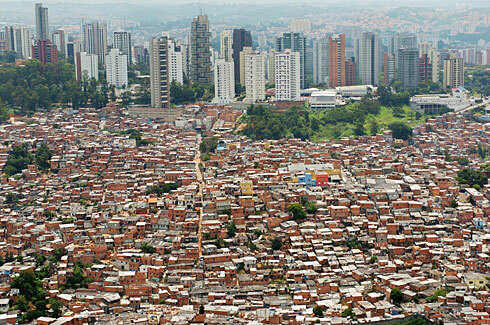 Of course, much of this is thanks to the country’s economic boom. More people have more money. That’s obviously a welcome development for people who struggled to get by. However, the down side is that it has fostered a growing obesity problem. Today, almost half of Brazilian men are overweight and more than half of women are. 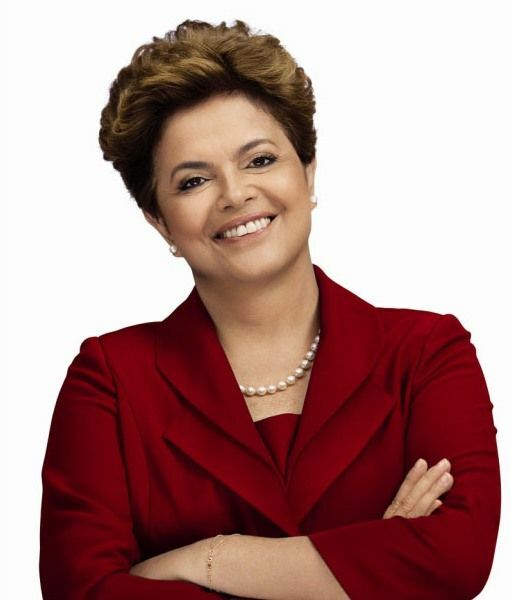 A few weeks ago the question was WHEN Dilma Rousseff would win Brazil’s presidential election not IF. Polls showed she could easily win an outright majority in the first round. But new polls released over the last 24 hours show the contest is up for grabs as the race tightens considerably. 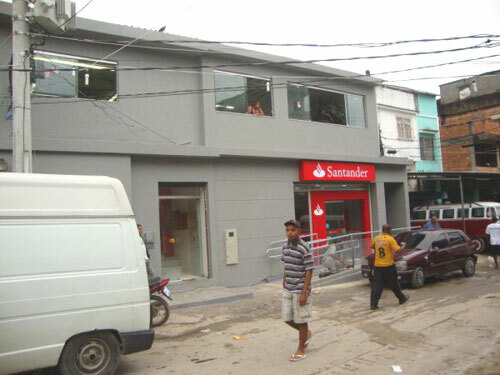 A Census poll released on Thursday morning gave her 46.8 per cent and José Serra of the Brazilian Social Democratic Party 42.7 per cent. The two other polls released on Wednesday night showed Rousseff holding leads of 48-40, according to a Vox Populi sample, and 49-43, according to Ibope. The polls were the first to be taken after Sunday night’s confrontational TV debate. More details as to why the gap has narrowed in my Financial Times piece here. Screw Transparency. We’re the CBF. Here’s one more story, I’m sure not my last, on the 2014 World Cup logo. I wrote here about the design when it was leaked to the press back in June. Not everybody liked it. I didn’t think it was that bad. 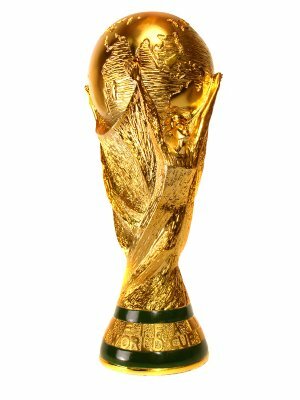 It’s simple, yes, a bit infantile maybe, but I’ve always thought the actual World Cup is a gorgeous bit of sculpture and I like the green and gold hands motif copying that. What I did think was pertinent was their criticism of the way the design was chosen. i.e. by questionable celebrities with even more questionable taste. The cult of celebrity has gone waaaaaaay too far (as if we didn’t know) when people like Ivete Sangalo, Paulo Coelho and Gisele Bundchen are among those consulted on the design. The main criticism has been that there was no public participation in the choice. It’s not unusual to see this, I remember the same thing happened with the London Olympic symbol and that was a mess too. A competition organized by the BBC to find an alternative to this produced several better ones and one clear winner (see more, including a photograph here), although the organisers stubbornly stuck with their own design – surprise, surprise. Brazilian critics rightly accuse the government and the Brazilian Football Confederation (CBF) of dictatorial decisions. Anyone who has had any dealings with the CBF know it is one of the most arrogant and venal organizations in Brazil. I’ve not found one more frustrating to deal with during my entire decade here. I have no doubt the CBF will ignore the critics and adopt the same tack as London They know best and screw what anyone else thinks. And, needless to say, screw transparency. When he chose his best restaurants in SP for my Wall Street Journal piece, top chef Paulo Barroso de Barros said he used just one criteria: the quality of the food. And sure enough the food in each of the restaurants we went to was absolutely first class. The carne seca in Dalva e Dito (see photo right) was the best carne seca I’ve ever tasted and the duck with truffled-flavoured mashed potatoes in Ici Bistro was amazing. Unfortunately, I can’t afford to eat in most of the places he chose. And not being such a foodie, I also rate ambience and location high when choosing a place to eat. So, as an alternative to Paulo’s choices, here are three of my favourite restaurants in Sampa. La Frontera is top of my list for many reasons. It’s spacious and airy and classy, with a beautiful but understated décor. The food is good but not too expensive and it’s an equally appropriate spot for lunch and dinner. It’s also within walking distance of my home (it’s close to both Av Paulista and the Centro). There are many reasons not to like Fuad Grill. The bar-restaurant in Santa Cecilia is a glorified pavement, with plastic tables, tacky pictures of owner Fuad embracing local politicians and a posse of slow and charmless waiters. The meat, though, is fantastic from the sizzling chops to the wild boar to the sliced picanha in herbs. Rascal is sometimes described as a fast food joint but it is a million miles away from McDonalds. It’s a real restaurant but with a salad bar and pizza and pasta always ready to serve. The salad bar does it for me, with loads of grilled vegetables and seafood (including salmon). The lunch offer is 42 reais for unlimited salad and a pizza or pasta. Get the salad and order a pizza to go. The special Wall Street Journal supplement I was working on is published today with 11 stories about Brazil. I wrote two pieces, the first one about the 10 best restaurants in the city, according to Veja’s Restauranteur of the Year Paulo Barroso de Barros. The second piece is a list of 11 of the most interesting events taking place in Brazil this year. The whole package is available online here. I posted recently about writing two pieces for the Wall Street Journal. See that post here. Well, the special Brazil supplement containing my articles and several others will be published on Monday and should be available at the Wall Street Journal site. I’m not sure yet if it will be accessible as some of the Journal’s site is pay per view. The restauranteur featured is Paulo Barroso de Barros. A top man with some interesting choices for his Top 10 restaurants in São Paulo. I’ll post the Top 10 here on Monday, along with links to the two pieces. Before I head home for a short visit, I spent a few days working for the Wall Street Journal. It’s my first time working for Rupert Murdoch’s esteemed organ. I’ve to write two stories before getting on the plane, both for a special Brazil section. The Journal is, I believe, starting to pump out the kind of money-making sections that have been a stock in trade at the Financial Times. It’ll be no suprise to anyone that we’ll start at D.O.M. 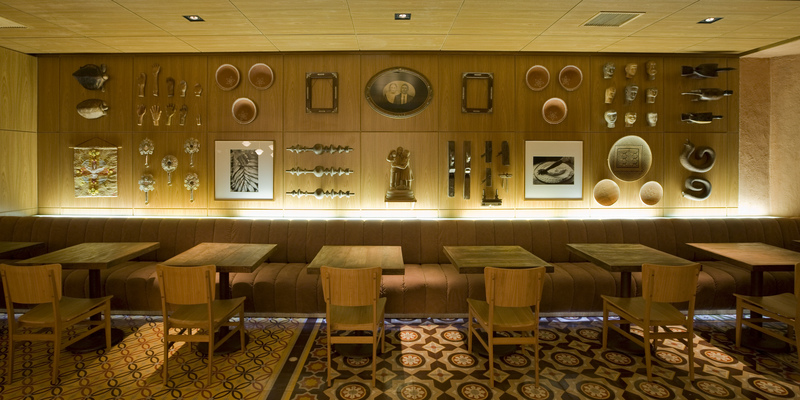 Run by Alex Atala, the rock star of Brazil’s culinary scene, D.O.M. has gathered dozens of awards over the last few years. Does that mean the chef showing me around is Alex Atala? Or is it another of the Brazilian generation of tattoo-ed Jamie/Gordon/Marco-Pierres emulators? Will Brasil a Gosto make the list? Will there be more Italians than Japanese? How many churrascarias will be there?